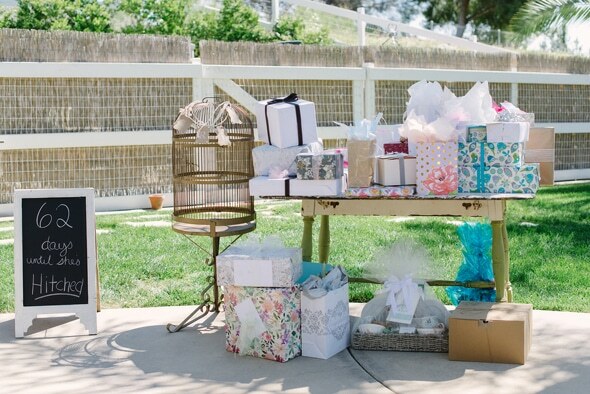 This outdoor vintage chic bridal shower in gorgeous wine country is absolutely beautiful! Rustic farm tables, vintage chic chairs, and gorgeous pink details made this outdoor celebration one the bride-to-be will never forget! From Stevie: “This story is one of my own. My name is Stevie and I am a wedding photographer based in the Temecula Valley Wine Country. Ryan and I have been dating for 10 years and are finally tying the knot in May 2015! A couple of my favorite wedding vendors came together and helped me style a rustic vintage chic bridal shower in my parents’ backyard. 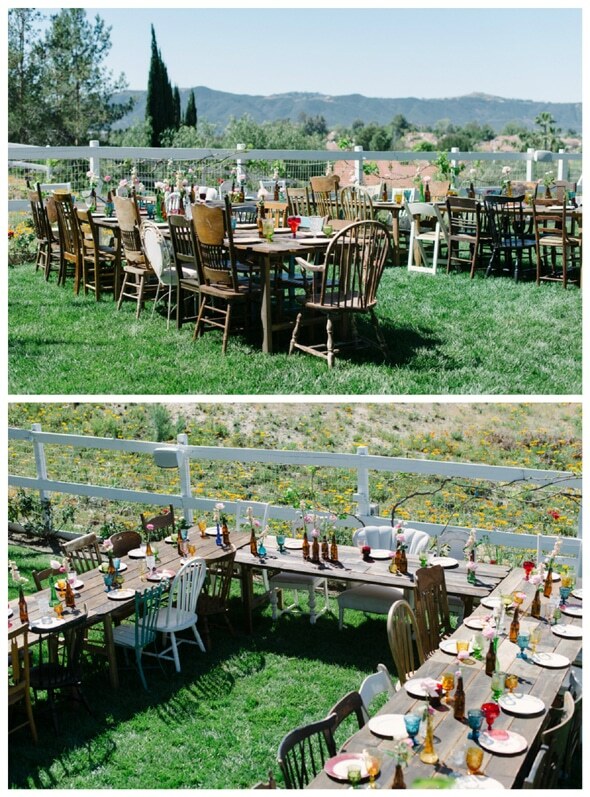 The rustic farm tables, mix matched chairs, pops of pink florals and personal elements (my fav!) added to the decor really brought the design to life. My sister and my cousin (both my Maid of Honors) put together a “Meet the Maids” table since most of my bridesmaids live out of state and couldn’t attend the bridal shower. Complete with photos and funny stories of how the bridesmaids met me (the bride) and why our friendship is special was the perfect way to include them in my special day! 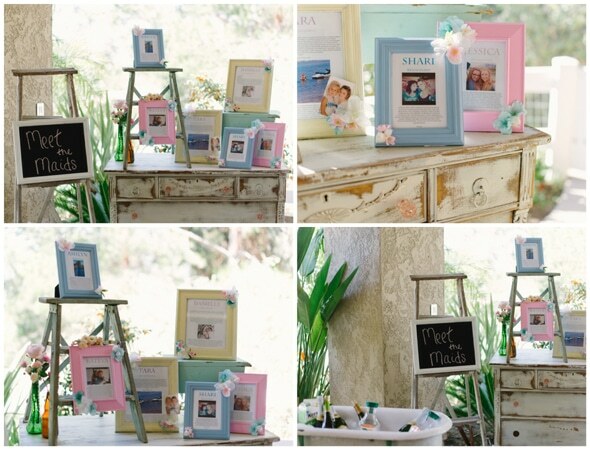 Everywhere you looked there was a sweet note from my husband-to-be telling me why he loved me in a picture frame. This was one of my favorite elements added to the day; totally caught me by surprise! 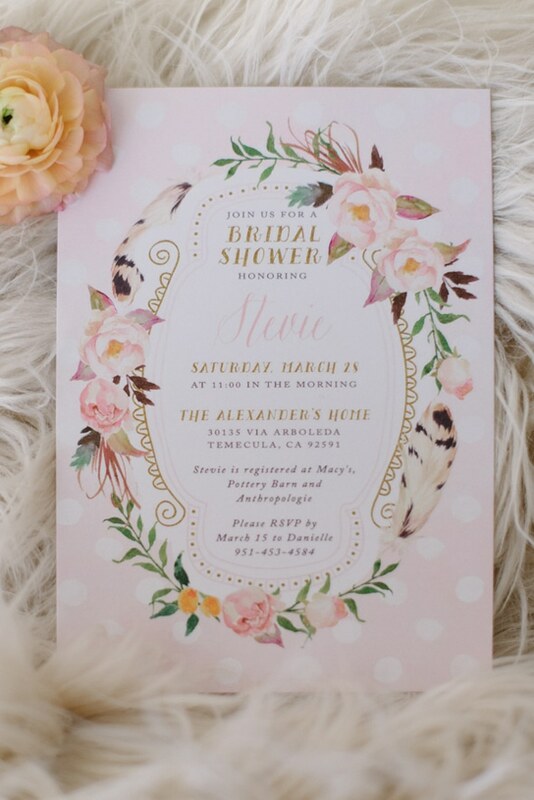 The gorgeous blush floral invite was the perfect way to invite guests to this chic celebration! 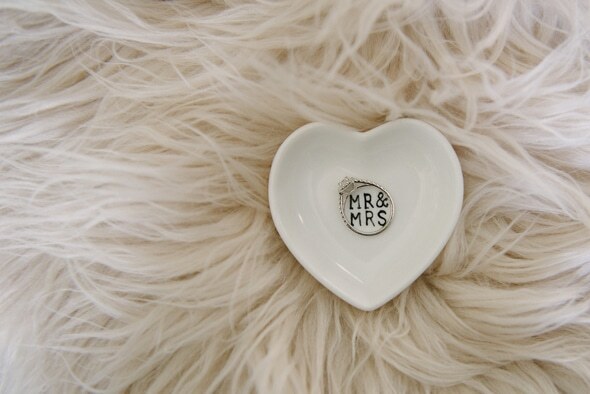 How adorable and perfect is this Mr. & Mrs. Heart ring dish?! Touched by Time Vintage Rentals brought in some gorgeous vintage furniture for the event, which was held outdoors with a gorgeous view. Stunning! 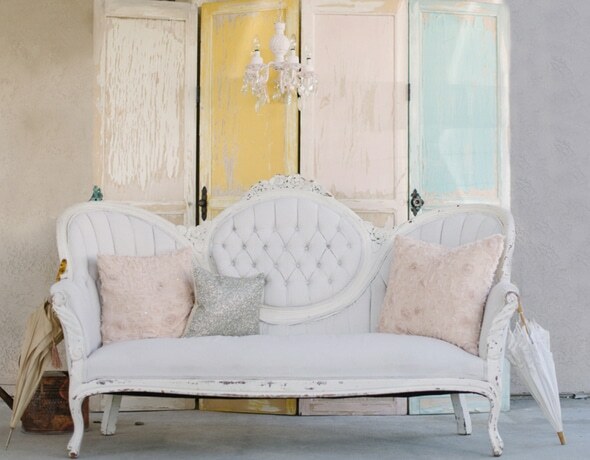 Vintage farm tables created a whimsical space outdoors for guests to enjoy some food, drinks, and conversation. 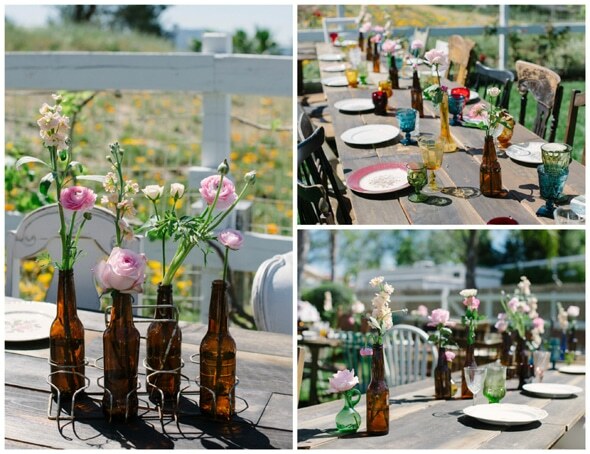 Vintage dishes, bottles and glasses adorned the table. 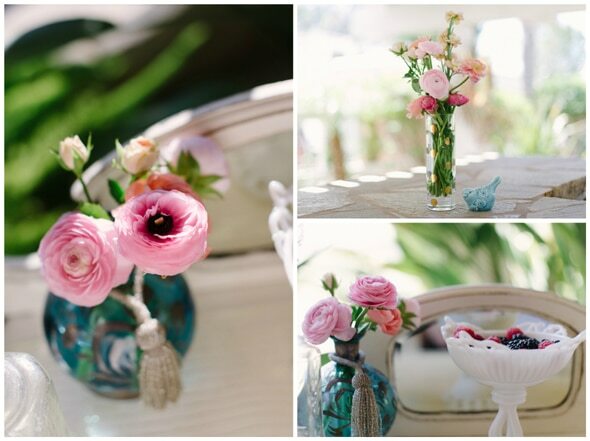 Pink flowers were placed in vintage bottles for centerpieces, which looked absolutely lovely. 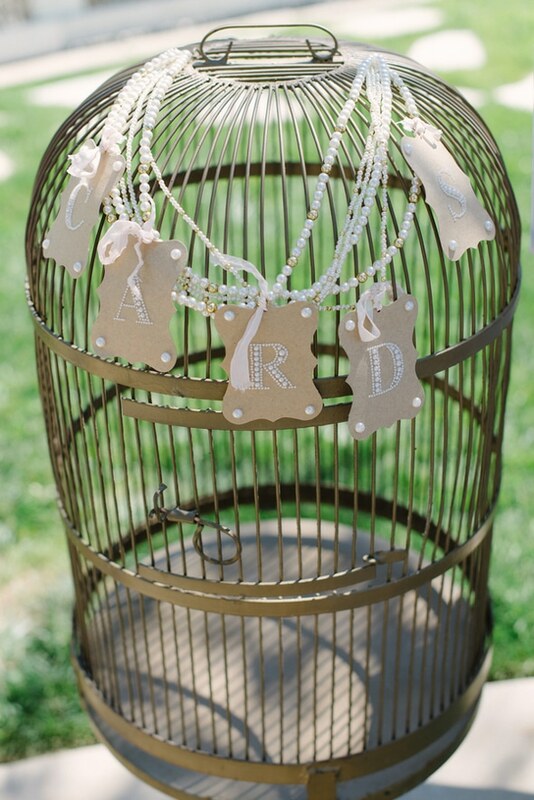 We’re loving this vintage birdcage card holder – a perfect detail for this vintage chic event! How fun is this “Meet the Maids” display?! Some of the bridesmaids couldn’t make the event because they live far away, so this display was the perfect way to honor some of the most important girl’s in the bride’s life. 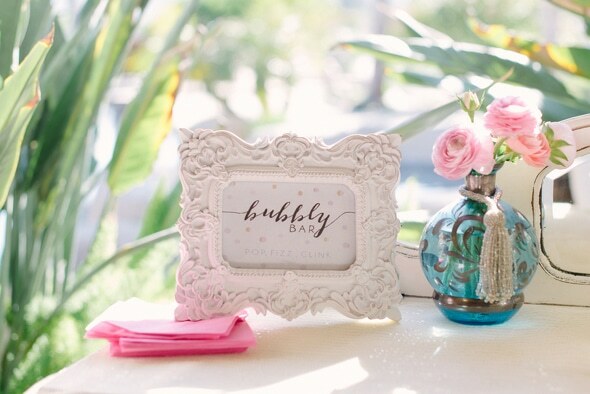 A Bubbly Bar is pretty much a must-have for any bridal shower and this one was perfect set upon some gorgeous vintage furniture. Cheers! Pink flowers brought a sweet touch and were seen throughout the event. 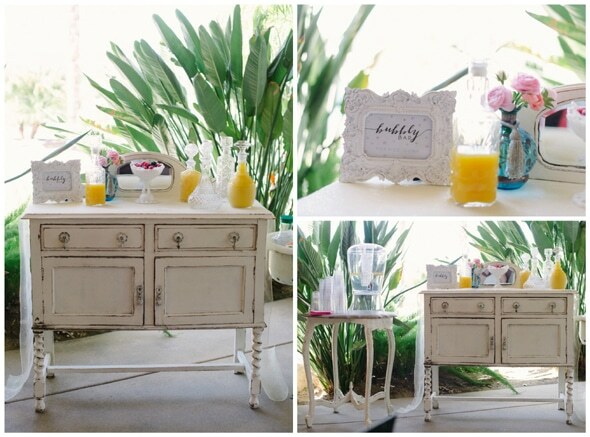 This is probably one of our favorite ideas for a bridal shower! 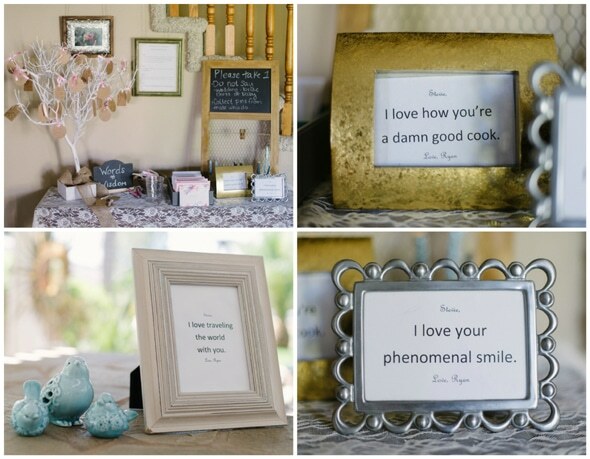 Sayings from the groom-to-be in photo frames were seen throughout the event. It was the perfect way to incorporate the love the couple has for each other! How sweet! Countdown to the wedding! 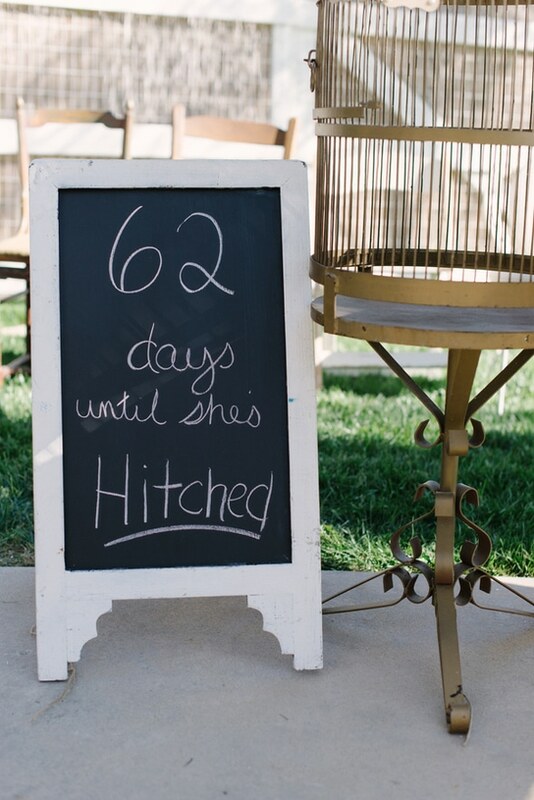 A fun chalkboard sign showed guests there are only 62 days until the wedding! What a truly beautiful way to celebrate your upcoming wedding with the people you love! Everything from the setting and vintage furniture and decor, to the personalized elements, made this day one memorable event for the bride and her family and friends! 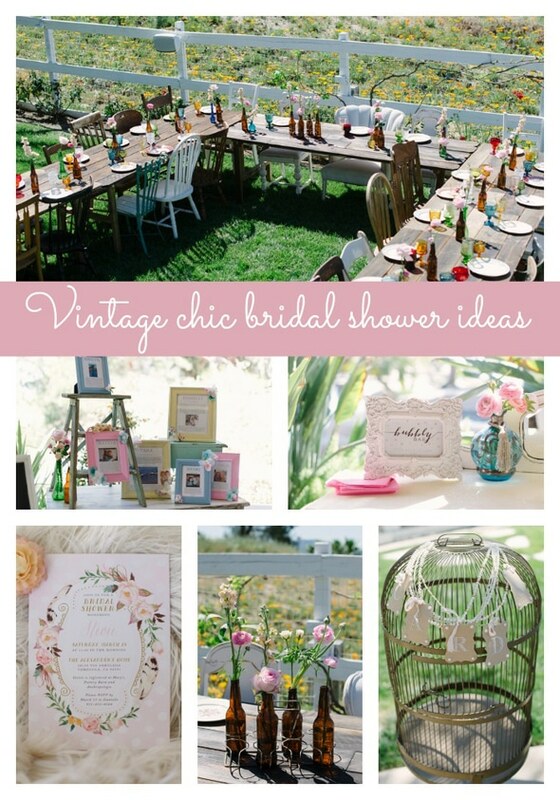 Plan a gorgeous vintage chic bridal shower with these products hand-picked by our editor! Sign up for a 30-day free trial of Amazon Prime and get free 2-day shipping on your party products. 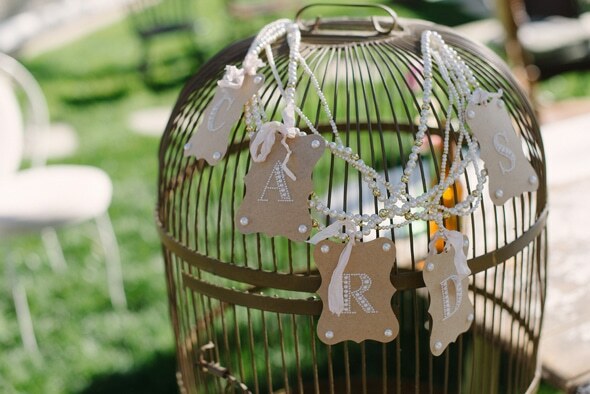 Would LOVE to know where you found the beautiful Rose and feather invitations! Thanks! Where can I find this Bridal Shower invitation?